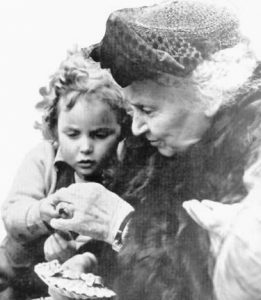 In the beginning of the twentieth century, Dr. Maria Montessori, a young Italian doctor, developed a new educational method. This new approach emphasized learning through all five senses, not just through listening, watching, or reading. 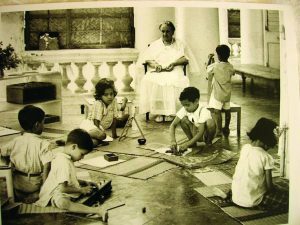 She believed that each child is born with a unique talents, along with an innate desire to learn and to experience the world. The Montessori teaching method is founded on her conviction that “ the hand is the instrument of the mind.” Students in a Montessori classroom learn by doing, engaging in multi-sensory exploration, deepening the learning experience. Learning is an exciting process of discovery, leading to concentration, motivation, and self-discipline. 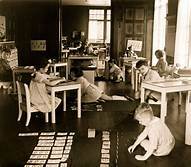 The Montessori method has withstood the test of time. Over the last 100 years, it has provided students with superior levels of education compared to traditional teaching models. The prepared environment, or classroom, includes all the Montessori materials and exercises. This is a setting where each child's individual learning needs are met. A place where they can freely explore and reveal their own personality and growth patterns. Montessori lessons provide active and hands-on experiences. Students are encouraged to discover information for themselves. This method of teaching varies greatly from traditional schools where children listen passively, memorize, and take tests. 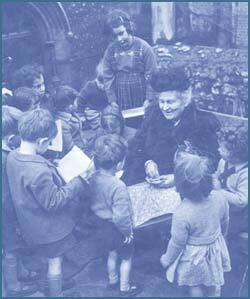 A fundamental approach to the Montessori philosophy is the multi-age classroom. All classrooms include children of three age levels. Multi-age grouping helps children acquire a sense of community and supports social development. Children of different ages help one another. Younger children take direction and learn from the older children. As older children mentor the younger students, they develop increased independence and leadership skills. The individual child’s work pace is honored in the Montessori classroom and the curricula expands in response to the student's needs. In traditional classroom settings all children are expected to work at the same pace and the curricula is predetermined. Montessori teachers are not the center of attention in the classroom. Their role focuses on the preparation and organization of learning materials to meet the needs and interests of the children. Teachers follow each child's direction and actively work to help them succeed. The focus is on children learning, not on teachers teaching.